July 1st marks the beginning of our Chapter's 2018-2019 fiscal year. It seems fitting to start off our chapter year with a few comments about last year. Our Northeastern Wisconsin Chapter received two awards from FEI National at the 2018 Financial Leadership Summit in Houston, TX in May. 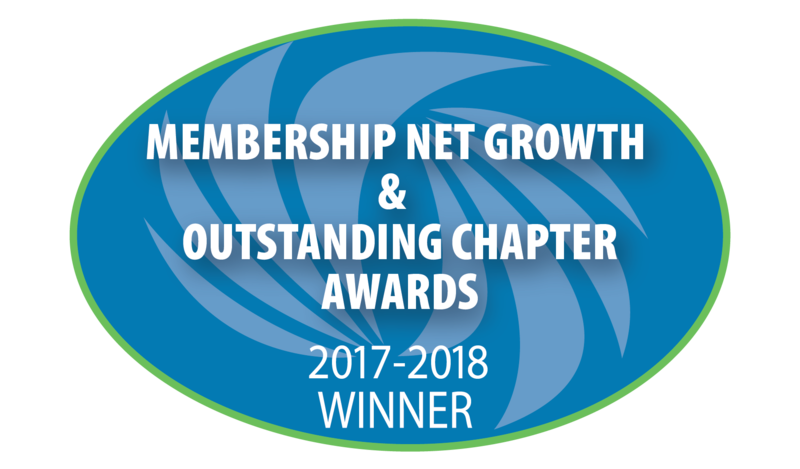 In recognition of our strong membership numbers and continued growth, our first award presented was the 2017-2018 Chapter Membership Net Growth Award. Our second award, based on our membership survey results, was the 2017-2018 Most Outstanding Chapter Award. Both awards were for the large chapter category (Tier IV) where we compete against Houston, Arizona, Colorado and New York City. We all should be proud of this recognition. Click here to continue reading Jim Rubright's first President's Message. Click here to view details and register for the Tuesday, August 21, 2018 Webinar: How to Sponsor Others. It will be hosted by Baker Tilly and take place in Appleton. Our Summer Peer Group Meeting is next month. The agenda is yours and suggested topics are always welcome! Ask your peers about their experiences with health insurance, audits, banking, reporting and employment. Click here to register! You can also earn 3 CPE credits when you attend the meeting in person. Thanks to the efforts of the members and strategic partners listed in the left-hand column, we ended our fiscal year on June 30, 2018 with a net increase of 19 members for a total of 239. During the year they recruited 45 new members plus we had 3 reinstatements. This was partially offset by 26 terminations and 3 transfer outs. The terminations are primarily members who have not been able to attend our chapter functions. Even considering the terminations it was an impressive year for membership. We are currently the 10th largest out of 64 chapters in the country. Despite our best efforts and strong registration, mother nature forced Butte des Morts Country Club to close its course and cancel our Monday, 6/18 Golf Outing. Fortunately, we were able to reschedule the event for Monday, 8/20. Most of you can join us, and a few of those who couldn't make the 6/18 date have registered as well. Please join the 60+ golfers planning for a fun summer social event. click here to register for the rescheduled event; there's still time to join the fun! On June 21, 2018, the U.S. Supreme Court overturned fifty years of long-standing precedent in a landmark decision, South Dakota v. Wayfair, Inc., et al. (No.17-494, 06/21/2018). The Court in Wayfair rejected the "physical presence test" for determining when remote (out-of-state) businesses must collect state and local sales tax. The decision is a win for brick-and-mortar retailers, states and localities, but it presents new challenges for online retailers as they consider how to handle increased administrative burdens and compliance challenges. This Legal Update addresses Wayfair's background, the Court's decision, and what we can expect looking forward. 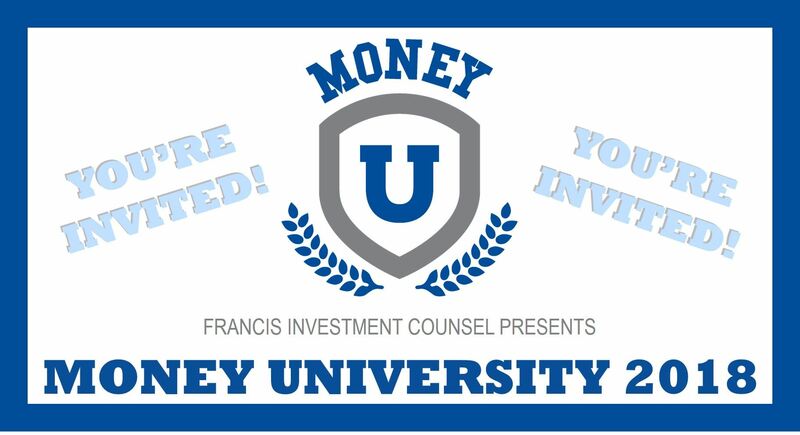 You’re invited to go back to school as Francis Investment Counsel presents Money University. This single evening event provides our clients’ employees an opportunity to learn about money topics important to them. As a special benefit to FEI members, join us to discover how Money University could support and promote the financial well-being of your workforce! This invitation allows up to three representatives from your organization (and their significant others) to attend. Please click here for additional details, including dates, locations, and registration information. 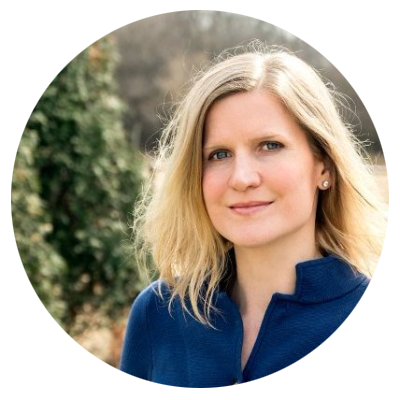 Learn more about Francis Investment Counsel’s MoneyAdvice@Work® Financial Wellness Services at moneyadviceatwork.com or contact Joseph Topp at 262-781-8950. Founded in 1987, Cleary Gull Inc. is a nationally recognized, employee-owned boutique investment banking firm with a global reach. We advise private equity funds, entrepreneurs, and small publicly traded companies on mergers and acquisitions, private debt and equity financings and recapitalizations and other transactions. Our investment banking team has completed hundreds of middle market transactions delivering more than $8 billion in value. With an average of more than 20 years of deal experience, our senior investment bankers bring knowledge, integrity and a determination to deliver great outcomes for our clients. The Market Monitor is published quarterly. Click here to read the 2018 second quarter Market Monitor. Copyright © 2019 FEI of Northeast Wisconsin. All rights reserved.